Haq's Musings: Is Obama True Friend of Israel? President-elect Barack H. Obama has finally broken his silence by expressing his "deep concern" about mounting civilian casualties as the carnage in Gaza has continued into the second week. He added he would have plenty more to say after he takes office on January 20, 2009. Is Obama a true friend and a genuine ally of the state of Israel? This question was asked repeatedly during the presidential election campaign of 2008. As expected, each presidential candidate vied with the rest of the field to prove their credentials to AIPAC (American Israeli Public Affairs Committee aka the all powerful Israel lobby) by offering total and unconditional support to Israel. In fact, Obama went beyond all other candidates in this competition by declaring at an AIPAC conference, where all of the presidential hopefuls lined up to kowtow to the Israel lobby, that "Jerusalem will remain the capital of Israel, and it must remain undivided". "Let me be clear," he said, "Israel's security is sacrosanct. It is non-negotiable. The Palestinians need a state that is contiguous and cohesive and that allows them to prosper. 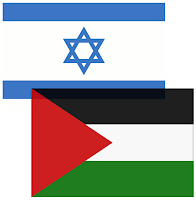 But any agreement with the Palestinian people must preserve Israel's identity as a Jewish state, with secure, recognized and defensible borders. Jerusalem will remain the capital of Israel, and it must remain undivided," he added, in efforts to secure the Jewish vote. Later, Obama backtracked from his controversial statement about Jerusalem. Let's examine seriously what it means to be a friend of Israel in practical terms. Does it mean slavishly echoing the positions of Israeli government and AIPAC without much thought? Or does it require the US to behave like a friend who tells Israel the truth, no matter how unpleasant, to help make life better for both Israel and the US in an increasingly enraged world? Looking at the long, checkered history of America's involvement as Mid East peace broker, there have only been two American presidents who can claim any measure of tangible success: President Jimmy Carter and President George H.W. Bush, the father of the outgoing president George W. Bush. President Carter is credited with the Camp David Accord that resulted in peace between Israel and Egypt in 1970s, while President Bush Sr. initiated the Madrid Mideast Peace Conference in 1991 that led to Oslo accord in 1993. Since the mid-1990s, there has been no progress toward resolving any outstanding issues between Israelis and Palestinians. Neither Clinton nor Bush showed the kind of courage required to tell the Jewish state what they must do to reach a viable peace accord that allows both Israelis and Palestinians to live in peace side by side. Their rhetoric never really matched their actions. According to reliable sources, each proposal by Clinton and Bush Jr. was first shared with Israel, and only after its modifications and approval by Israel was it presented to the Palestinians. In every major or minor dispute, the US openly and vocally sided with Israel. Both Clinton and Bush took the easy way out by heaping scorn and criticism on the Palestinians and by failing to press the Israelis to make any substantial concessions, while Israel continued to build and grow settlements on Palestinian lands as facts-on-the-ground. In fact, it would be accurate to say that things have never been as bad as they are today. The worsening Mideast situation has been a boon for Al Qaeda and Taliban recruiting and it has fueled anti-American sentiments throughout the world, particularly the Muslim world. What is it that former presidents Carter and Bush Sr. did that has been missing lately? In the words of former Israeli Foreign Minister Shlomo Ben-Ami who said in 2006 that Carter and Bush succeeded because they were "ready to confront Israel head-on and overlook the sensibilities of her friends in America." If Barack H. Obama is a true friend of Israel, he should be warning Israel about the danger of becoming an apartheid state, just as Carter has. I suspect Obama will try and test how far he can push the Israelis to make concessions that are in their own best interest to reach durable peace in the Middle East. But he will have to deal with AIPAC, the extremely short-sighted and power-drunk Israeli lobby in America that has been the main obstacle to any real and meaningful progress toward peace in the Middle East. Ultimately, Obama will have to decide if he is willing to take the risk of becoming another one-term president, like Jimmy Carter and George H.W. Bush before him. There are other unanswered questions. Among the first casualties of the Mumbai attacks were three top officials of the Anti-Terrorism Squad (ATS): Hemant Karkare, his deputy Vijay Salaskar and Ashok Kamte. Karkare had arrested several Indian military officers and Hindu priests for their involvement in the Malegaon attack of September 29 in which five persons were killed. Altogether 11 persons including a serving military officer, lieutenant colonel Srikant Prasad Purohit, were being interrogated by the ATS. Purohit was also implicated in the bombing of the Samjhota Express train in February 2007 in which 68 passengers, all of them Pakistanis, were killed. At that time, India had blamed Lashkar-e Taiba for the bombing. The ATS chief, Karkare, discovered that colonel Purohit had provided the RDX explosives used in the train attack. After these high profile arrests, Karkare was threatened by rightwing Hindu fascist organizations and political parties. Leading the attack were members of Shiv Sena, Abhinav Bharat, Sang Parivar and the opposition Bharatiya Janata Party (BJP). They denounced him as a traitor and accused him of pandering to Indian Muslims. Some of them even went so far as to say that regardless of what they do, Hindu nationalists cannot be wrong; they cannot be called terrorists since they are involved in “retributive justice” against India’s Muslims, whom they brand as traitors. A day before his death on November 26, Karkare had received a death threat. He was warned that if he did not stop his investigation against the Hindu priests and Indian army officers, he would be eliminated. Who were these anonymous callers? This is the wrong post to discuss Malagaon blasts..sorry 2 all..
Karkare according to media reports got death threat from IM-SIMI by phone not Hindu extremist elements(The reason for threat is ATS killing of many gangsters in D-gang..which is exclusively consists of Muslims..SIMI foot soldiers are mostly former or current members of criminal gangs).The trial hav not even started, so many theories are floating around in media w.r.t Malegaon blasts. The first responders in Mumbai are the special cell (ATS), so it is no surprise that the ill-equipped team with older-generation body armor(for 9mm pistol rounds) were wiped out by guys with naval commando training with assault rifles of AK-56 (7.62mm possibly with armor-piercing rounds).Usually commandos' ratio is 1:22, I think.So its no surprise that the well-trained guys who got nothing to loose held up 500 of special force teams. Btw, regarding assuming Malageon blasts to be work of Islamists is natural since all terrorists operating in urban areas are of Jehadi origin. Ironically, the supposed grievance of Hindu groups was govt's "soft approach on terror" like not attacking Pak or not taking action against SIMI etc becoz of Muslim appeasement. Lt Col Purohit is one of Military Intelligence's top counter-terror experts. I personally sympathize with agenda of those Hindu terror group if they were indeed the ones who did it. But since they are caught now, they should be punished, everyone must be equal before law. I agree that this is not the right forum to discuss the stage dram of Mumbai, but ask a question to yourself without giving the stats, who called MR Kurkure at that time that made him remove the helmet and thus becoming a soft target for the actors. It might lead to the someone big and untouchable on the ladder in Indian hierarchy and you will solve the puzzle . Regarding Obama, nothing much is expected as US of A is in a financial crunch and all the threads are in the hand of the zoinest state, mulactiUS of A is just a puppet so expect nothing concrete. Ex-#Mossad Chief Says #Palestine Occupation Is #Israel's Only Existential Threat - Israel. Former Mossad chief Tamir Pardo asserted on Tuesday that the Israeli occupation and the conflict with the Palestinians are the only existential threat facing Israel. He said that despite the full withdrawal from Gaza, responsibility for the territory remains in Israel’s hands. “Israel is responsible for the humanitarian situation, and this is the place with the biggest problem in the world today,” he said.